Three months into the extended exploratory mission of U.S.S. Robinson into the Gamma Quadrant, Captain Benjamin Sisko and his crew are suddenly attacked by an unknown alien species. Seventy-eight of the thirteen hundred aboard are abducted—including Sisko’s daughter, Rebecca. But Rebecca had been kidnapped once before, years earlier, by a religious zealot on Bajor. Does her disappearance now have anything to do with the harrowing events of the past? And for what purpose have the these new enemies taken Sisko’s daughter and the rest of the missing? 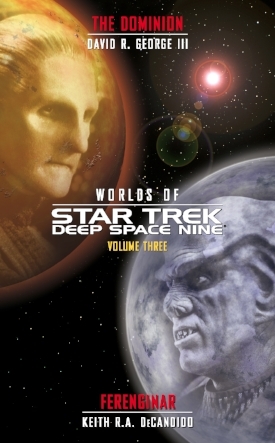 While Quark searches for the missing Morn, Nog enters a holosuite in an attempt to rescue Vic Fontaine from kidnappers. At the same time, Kira Nerys tries to determine why Altek Dans, a man she knew—and loved—in Bajor's ancient past, has emerged from the Celestial Temple in the present. Displaced to the past, a future version of Kira Nerys rushes after the Ascendants as they head for the Bajoran system, led by the insane Iliana Ghemor, who is bent on revenge. Back in the present, an enormous, noncommunicative shape-shifter attacks Odo, escapes a detention facility, and heads for Deep Space 9. Kira Nerys emerges from the Celestial Temple into the Gamma Quadrant—in the past, where she meets a still-living Taran'atar. Meanwhile, the mad Iliana Ghemor, seeking vengeance, leads an army of Ascendants toward Bajor. 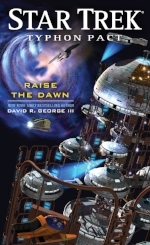 Can Kira reach her homeworld first, in an attempt to save Taran'atar and to avert the impending attack? 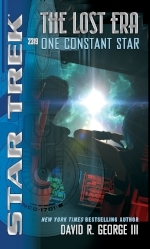 Captain Demora Sulu leads her Enterprise crew on an exploratory mission near the Tzenkethi border, not far from where her father’s starship disappeared with all hands eleven years earlier. When the discovery of a missing civilization and a strange portal imperils Sulu and her crew, followed by the arrival of a Tzenkethi squadron, she reaches out for aid to her former commanding officer, John Harriman. 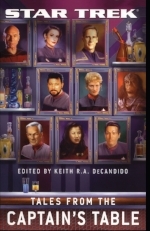 As Captain Ro Laren and her crew prepare to inaugurate their new state-of-the-art space station, a mysterious faction initiates a nefarious plan that will, if successful, have devastating consequences for the Federation and beyond. 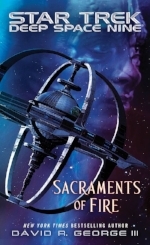 Meanwhile, Kira Nerys, lost in the Celestial Temple when it collapsed, finds herself witnessing the first meeting of the Emissary with the Prophets, and then inexplicably living the life of another woman, apparently somewhere deep in Bajor’s past. In the final year of Enterprise’s five-year mission, Captain James T. Kirk and his crew discover a mysteriously abandoned city. The ship’s new archaeology-and-anthropology officer, Ensign Trinh, accompanies a landing party to investigate. 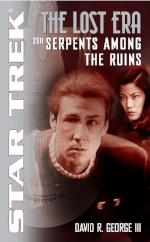 Later, she begins a romantic relationship with Lieutenant Sulu, but when the crew find another empty city on a second world, Trinh ends up in great danger. At odds with Kirk’s command decisions, Sulu transfers from Enterprise to another starship. In the wake of devastating losses in the Bajoran system, a rogue faction of the Typhon Pact moves forward with its plans to secure access to the wormhole and the Gamma Quadrant from outside Federation territory. Can Robinson’s Captain Benjamin Sisko, Enterprise Captain Jean-Luc Picard, and Deep Space 9 Captain Ro Laren, stop them? As peace negotiations progress between the Federation, its allies, and the Typhon Pact, a rogue faction strives to undermine those efforts—and to procure Dominion technology for their own villainous ends. 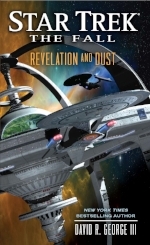 Can Robinson Captain Benjamin Sisko and Enterprise Captain Jean-Luc Picard, along with Deep Space 9 Captain Ro Laren, unravel the plot and end it before it’s too late? The Romulan Empire has cleaved in two, one bloc led by Empress Donator and the other by Praetor Tal’Aura. On Romulus in pursuit of reunifying the Vulcans and Romulans, Spock is caught between the two factions. Meanwhile, after returning to Starfleet to battle the Borg, Captain Benjamin Sisko endures a pair of terrible losses. Fearing the fulfillment of the Prophets’ prediction and concerned for his family, he decides to remain in the service. Sisko is soon dispatched to Romulan space, where he must deal with an assassination attempt—on Spock! In an alternate timeline, a harsh winter causes the postponement of a cybernetics conference—and in so doing, changes the course of Federation history. The Enterprise crew’s battle with the Borg ends differently, as does Data’s creation of Lal, an android he considers his daughter. Can he prevent her from being taken to the Daystrom Institute for study—and for even more ignoble purposes? Enterprise Captain James T. Kirk, displaced in time, allows Edith Keeler—the love of his life—to die in a traffic accident, thereby preserving Earth's history. Back in the present, he continues his storied career exploring the galaxy. But the incandescence that once filled his heart remains elusive. On Verdian III, facing his own death, the very fabric of existence collapses across years and light-years, forcing him to race against—and through—time itself, until he comes full circle to that one bright star by which he has always steered his life. In Earth’s past, Enterprise First Officer Spock watches his closest friend heed his advice by allowing the love of his life to die in a tragic accident, thus preserving Earth's history. 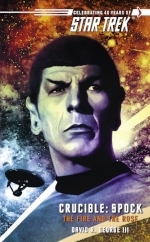 Back in the present, Spock confronts other such crises, and chooses instead to willfully alter the past. Challenged by the thorny demands of his logic, he must find a way to face his conflicting decisions. 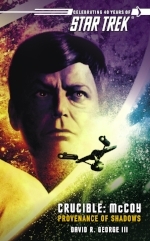 But when Captain James T. Kirk dies, Spock reexamines the fundamental choices he has made for his life. He seeks complete mastery of his emotions, but, another loss brings him full circle to once more face the fire he has never embraced. In a temporal accident, Enterprise Chief Medical Officer Leonard McCoy ends up in Earth’s past, where he inadvertently alters history. Stranded in time, he struggles to find his way home, but eventually has to move on, has to face the shadows born of his lost life. But when Captain James T. Kirk and First Officer Spock rescue him, he finds a medical mystery he is committed to solving. But the echoes of an existence he never lived haunt him, and the specter of a premature death brings him full circle to the shadows he has never faced. Since the end of the Dominion War, the Great Link has struggled with questions. At its moment of greatest doubt, its fate—and that of the entire Dominion, is tied to Odo’s investigation of their true motives for sending a hundred infant Changelings out into the galaxy. 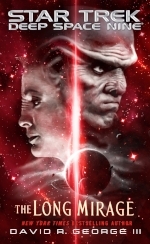 As Odo searches for answers and takes a hard look at his past choices, Taran’atar reaches a turning point in his own quest for clarity—one from which there may be no return. The tale of the Tomed Incident can now be told. As tensions escalate among the Klingons, the Romulans, and the Federation, Starfleet tests a prototype starship. But the experiment results in disaster, convincing the Romulans that the Federation is testing a first-strike weapon. As both sides mobilize, Enterprise Captain John Harriman—along with First Officer Demora Sulu—confronts his oldest enemy, with the Beta Quadrant one wrong move from the outbreak of total war. On Deep Space 9, Colonel Kira Nerys deals both with her recent Attainder and with the push for Bajor to finally join the Federation. Meanwhile, Commander Elias Vaughn takes Defiant into the Gamma Quadrant for a three-month mission of exploration—where he soon encounters a peaceful people on the verge of a cataclysm. Can Vaughn and his crew save them without losing their own lives? When Grand Nagus Zek holds an auction for an Orb of the Prophets, the Bajorans bid on it—without success. 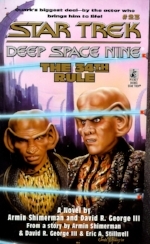 In protest, the First Minister expels all Ferengi from the system, imprisoning those who refuse to leave—including Quark and Rom. 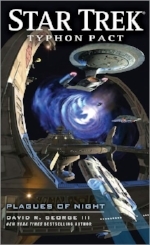 Ferenginar then blockades the Bajoran system, increasing tensions that could lead to war. A bar unmoored in time and space, The Captain's Table charges its patrons—the commanding officers of ships—a story in exchange for a drink. In pursuit of a fugitive with sensitive operational data stolen from a Starlet facility, Captain Demora Sulu chases the man there. Asked to offer up a tale, she does so in the hope of convincing him to surrender—and in talking about her grandmother, she also recounts a mission to infiltrate a renegade base on the cusp of Federation space. Captain Kathryn Janeway and her crew encounter a hedonistic people who possess technology that could transport Voyager forty thousand light-years closer to the Federation. Janeway attempts to trade for it, but the Sikarians refuse because of their own noninterference laws. The captain accepts this, but some of her crew disobey orders and try to trade for the technology with a group of rogue Sikarians.